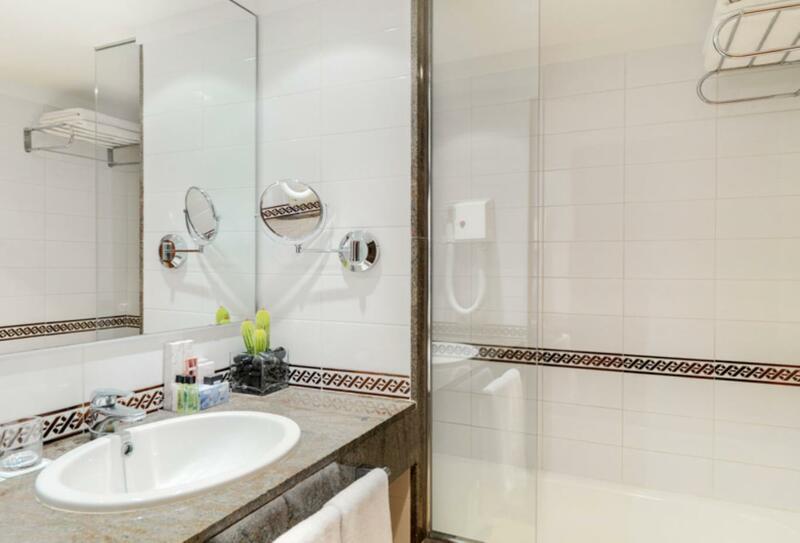 This boutique hotel is located in a fashionable part of Puerto Andratx, only a short distance away from the sandy beach and the crystal clear waters of the Mediterranean Sea. H10 Blue Mar specialises in adult holidays, basking in the glow of the outdoor swimming pool and the relaxing spa. 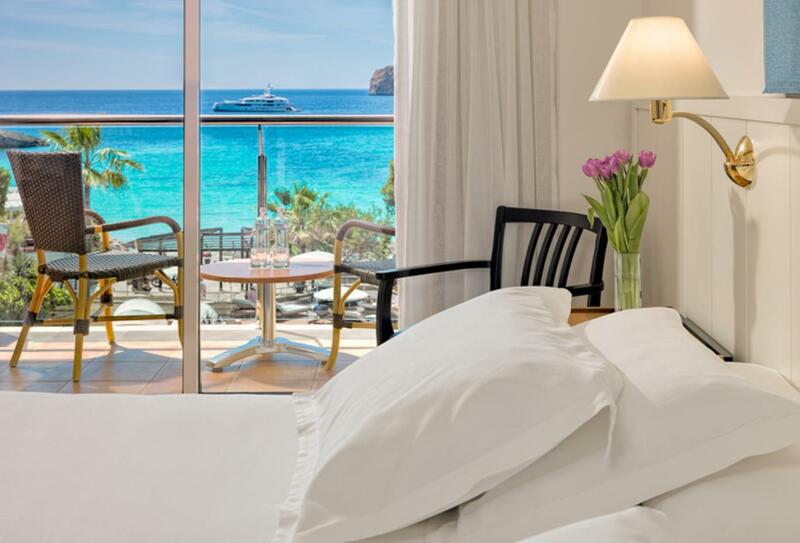 The rooms and suites all convey a chic ambiance, both understated and elegant with a balcony and sea views. The main restaurant offers a buffet breakfast and a varied snack meal, while the bars provide a space in which to kick back, relax and enjoy a fine selection of alcoholic beverages. 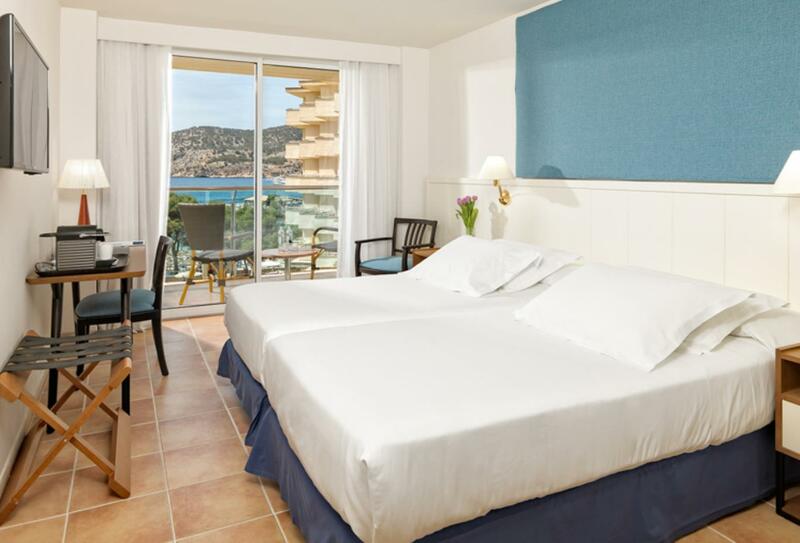 A spacious room with bright, airy interiors, the Double Standard room is outfitted with a balcony and side sea views. Simple, yet elegant, the Double Superior boasts a writing desk, media hub and a balcony that offers full sea vistas and views of the pool below. A vintage looking restaurant with exterior windows overlooking the swimming pool. The Sa Calma Restaurant offers a buffet breakfast, a varied snack menu and dinner in an a la carte setting. Open for breakfast 07:30 – 10:30 and evening meal 19:00 – 22:00. 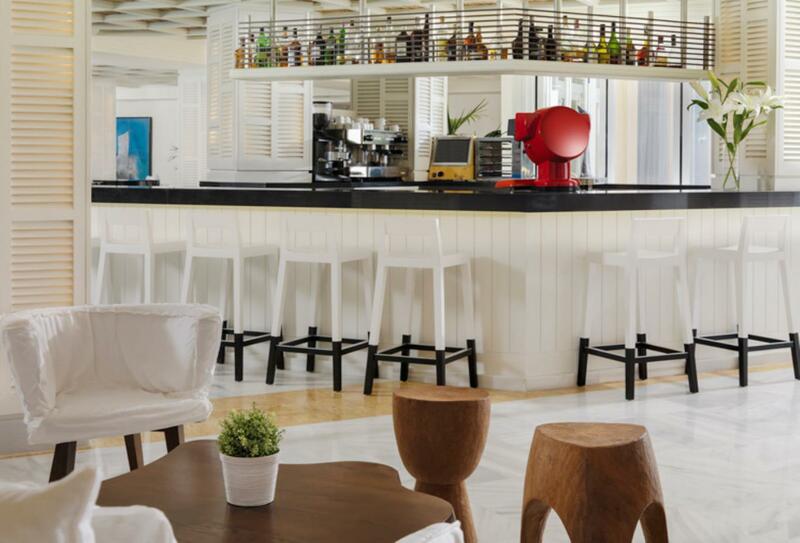 Next to the swimming pool, the White & Blue Bar is ideal for live music five times a week. The bar serves snacks during the day and a variety of drinks. Open 09:00 – midnight. Revel in this exclusive space, up on the fifth floor with impressive views of the Mediterranean. 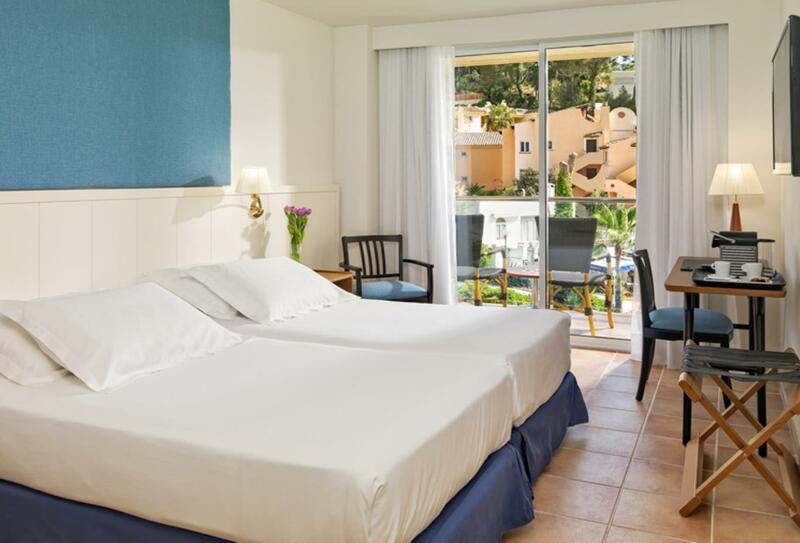 H10 Blue Mar is situated in the fashionable Camp de Mar, on the shoreline of the beach 20 minutes away from Puerto Andratx. 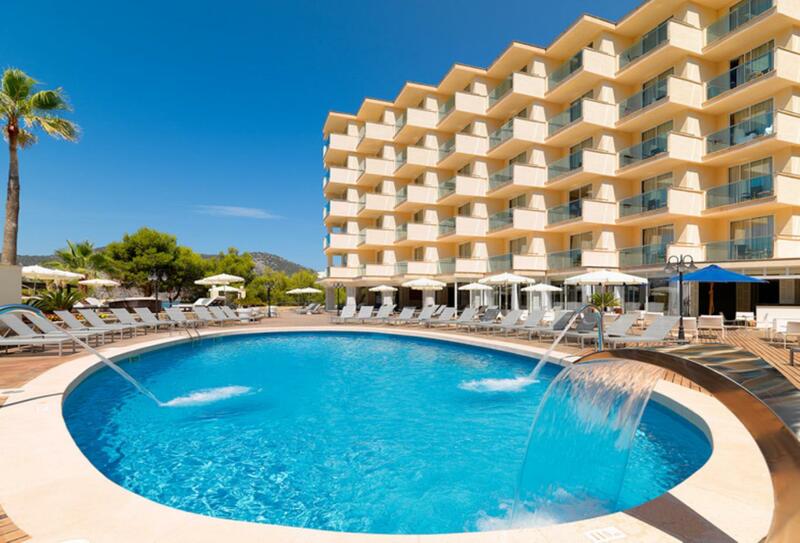 The hotel is near transport links and is only 30 minutes away from Palma de Mallorca Airport.